Olivier Humbrecht is one of the few winemakers to also hold the title of Master of Wine. The estate has been certified biodynamic since 1998. This Gewurztraminer originates mostly from the warm, gravel soils of Herrenweg Vineyard. Zind-Humbrecht's dedication to terroir expression guides all winemaking practices, which include extended pressing cycles, abbreviated clarification cycles (to retain natural yeasts and proteins in the must), natural malolactic fermentation and extended aging on the lees. The wine is aged 8 months in 40-year-old French barrels. 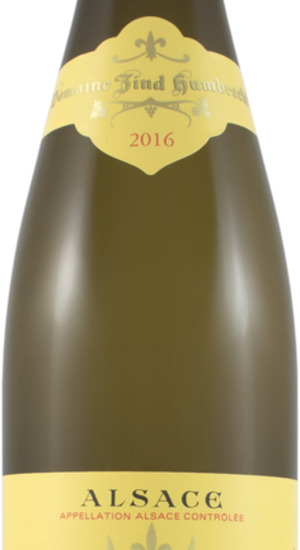 This Gewurztraminer originates mostly from the warm, gravel soils of Herrenweg Vineyard. Zind-Humbrecht's dedication to terroir expression guides all winemaking practices, which include extended pressing cycles, abbreviated clarification cycles (to retain natural yeasts and proteins in the must), natural malolactic fermentation and extended aging on the lees. The wine is aged 8 months in 40-year-old French barrels.